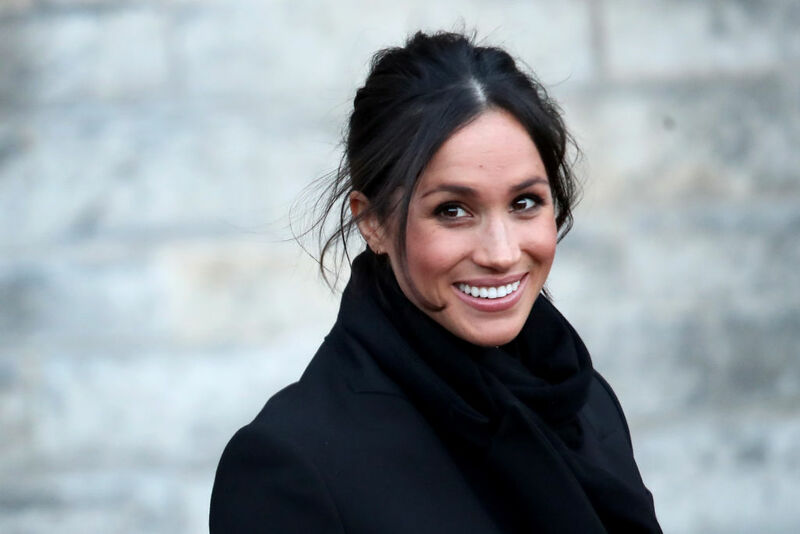 United States officials have begun to take a closer look at Meghan Markle’s taxes and whether or not the U.S. may be entitled to a portion of the newlywed couple’s multi-million dollar fortune. Millions of people tuned in to watch Meghan and Harry get hitched, but what many people didn’t know is Meghan has remained a U.S. citizen, subjecting her (and anyone she draws money from) to taxes. If you’ve ever dealt with the Internal Revenue Service (IRS), you know how strict they can be in tracking people down that owe them money. Currently, Markle is living in the United Kingdom on a family visa. However, as long as she maintains her U.S. citizenship, she will have to pay taxes in the states even if she lives in the U.K. full-time. What Will Meghan Markle’s Taxes Do To Their Wealth? As you know, Markle came into the marriage with her own wealth from her career as an actress in the U.S. However, her tax bill could deplete that $5 million fortune as well as knock out Harry’s £300,000-a-year trust fund (which he already pays taxes on in the U.K.). What’s even more interesting is that this tax debt could possibly even extend to the Queen and Prince Charles. Because the Queen and Charles provide some funding to Meghan and Harry, they may also be impacted by this. One of the royal aides reported the family is looking to employ a team of financial consultants from the U.S. to deal with the issue. “We’re looking at a level of financial exposure the Royal Family has never had to face before,” one of the aides said. What Income Does Meghan Have to Claim? Legally, Markle has to give the IRS full details of her finances, including any joint assets she may have with her husband. Any joint bank accounts or offshore trusts in excess of $200,000 will need to be reported. There are other things she’ll have to report as well. Any perks she’s received after joining the Royal Family will need to be reported as well. This includes the use of Nottingham Cottage and the grounds of Kensington Palace. Both of these will need to be valued and declared in her tax return (unless she’s paying the Royal Family rent). That is only a small portion of the income, gifts, and assets that may be taxed now that Markle is a member of the Royal Family. Here are just a few things Uncle Sam plans to examine when determining how much Markle will owe. Future television income: Any repeat fees and residual income coming from Markle’s role in Suits will be taxed. She made about $50,000 per episode while on the show. While the final season airs in December, she will be paid every time a re-run is shown on TV. Her engagement ring and wedding dress: It is possible that Markle may have to declare personal items like her ring and dress. According to the IRS, these are technically gifts from a foreign person that she would need to claim via a Form 3520 or face a $10,000 penalty. Royal allowance: Anything more than $100,000 from the Royal Family will need to be reported on Markle’s taxes. This includes her royal allowances as well as any money given to her to cover her various expenses. Prince Harry receives $450,000 per year from his mother’s estate as well as $4.88 million annually from his father (Prince Charles) to cover expenses. Although these are taxed in the U.K., these allowances may also be subjected to being taxed by Uncle Sam now too. Property: As mentioned above, she may have to claim the property in which she and Harry live because it is seen as a substitute for her income prior to being married. Other gifts: Any luxury gifts bought for Harry or the rest of the Royals in the U.S. will need to be reported to the U.K. tax administration. Any gifts imported into the U.K. outside of the EU are subject to a customs tax (2.5% on gifts between $188 and $877). Since 1993, the Queen’s personal income has been just as taxable as any other taxpayer in the U.K. She pays local rates in customs tax on a voluntary basis. Her wealth stems from the Sovereign Grant, the Privy (her portfolio of properties), and her own investments. The monarch contributes around £1.8 billion to Britain’s economy on an annual basis through tourism, the media, and other business dealings. It takes about £292 million a year to maintain the Royal Family (or 1p per person per day). Because the situation with Meghan Markle’s taxes is unprecedented, it will be interesting to see how it plays out. Readers, what do you think about the latest on The Royal Family and the potential tax nightmare? Get a Load of Fergie’s Net Worth! Have You Seen Conor McGregor’s Net Worth?